From November 6 to December 31, 2015 Smart Communications, Inc. is offering a "No cashout" promo for iPhone 6S on Plan 2000 and iPhone 6S Plus on Plan 2499 - both under a 30-month term. This limited time is available to both new and existing Smart Postpaid subscribers who are upgrading to the new iPhones with Smart. Choose the right plan that suits your needs and lifestyle. The infographic below should help you out in choosing the best iPhone Plan for you! 3 months iflix access plus 1GB of data per month for 3 months for TV and movie streaming. Be among the first to get the iPhone 6S Rose Gold (16GB) via special Uber delivery from Smart. Smart and Uber have teamed up to deliver your new iPhone 6s Rose Gold (16GB) at your doorstep when the clock strikes 12:01 on November 6, Friday! Simply click “Request an iPhone6s” on the Uber app, prepare to pay using your debit or credit card, and get ready for much bigger surprises. Moreover, all new Uber users get 50% off (with maximum worth of P200) on their next two Uber rides. Get 20% discount from Zalora. Experience the high life with as much as 20 percent discount for a minimum purchase of P500 from leading online fashion store Zalora. Enjoy P2500 Airbnb discount. Enjoy P2,500 discount on your Airbnb booking with a minimum spend of P8,000 at any listing in over 190 countries around the world. Get iflix access. Get three months’ worth of iflix access plus 1GB of data for streaming your favorite movies and TV shows. Win a new gadget instantly. With Smart’s Share the Joy Gadget giveaway promo, you can get a chance to take home another brand new gadget instantly when you sign up for a Smart Postpaid Plan or recontract at Smart stores nationwide. FREE Gadget Shield. 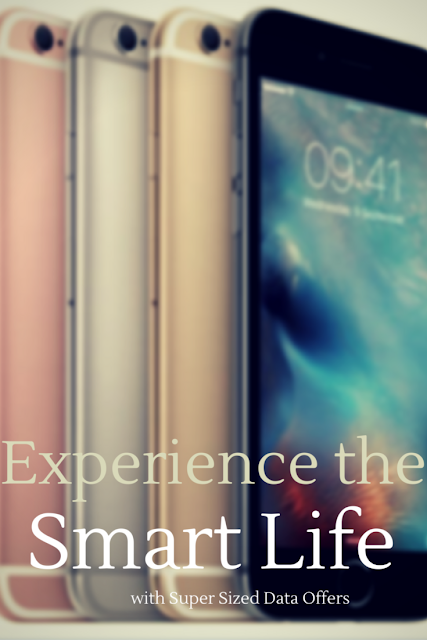 Get FREE 30-day insurance for your new iPhone with Smart’s Gadget Shield. Upgrade with Smart’s Wipeout promo. Wipe out your existing contract to upgrade to the new iPhones and enjoy corresponding discounts depending on the number of your remaining months in your contract. Purchase from Apple Music, App Store and iTunes even without a credit card. Smart is the only mobile network that lets you enjoy the full range of digital content from the Apple Store, iTunes and Apple Music even without a credit card through the groundbreaking Smart Pay-With-Mobile service. Simply text REG to 4949 so you can start buying apps and charging in-app items on top of your postpaid bill or deducted from your prepaid load – a first in the country.